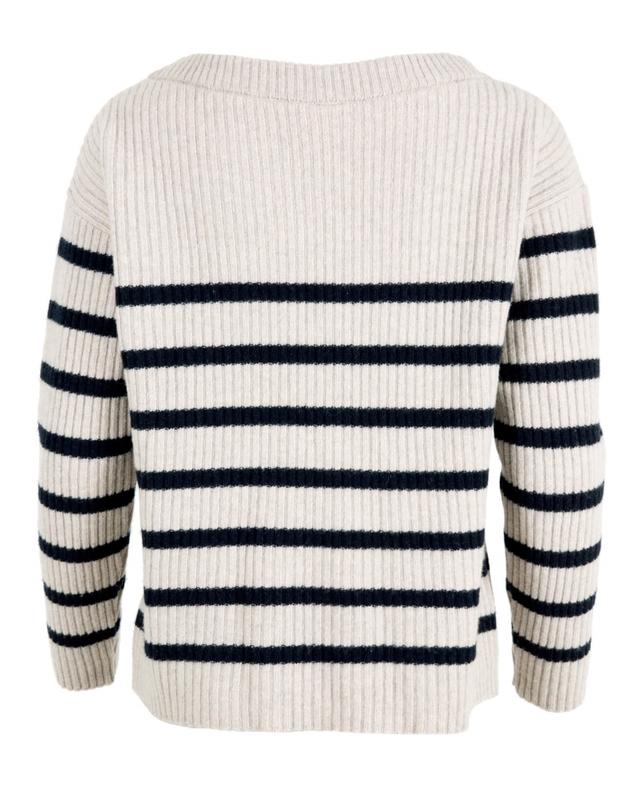 A nautical classic with a nod to our seaside heritage, the Boat Neck Breton Sweater embodies everything that our knitwear collection believes in. Beautiful natural materials in a timeless shape and style, suitable for a multitude of occasions. 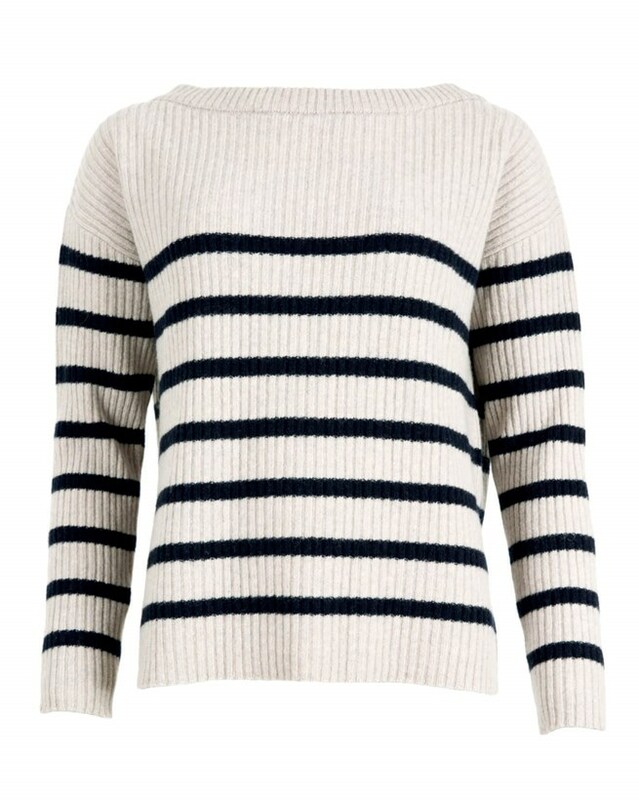 In a flattering fit, with full length sleeves and boat neck detailing this knit is perfect for everyday wear. To add some texture to your evening look, pair with the Toscana Gilet for a luxurious finish. Made with 100% Geelong Lambswool - Geelong wool has specially spun fibres which trap more air making it fabulously warm whilst being very lightweight. It is also lovely and soft against the skin. Just a lovely jumper, soft and warm and with a summery feel too. I bought size large, I’m a 16/18 and this is just right for me.